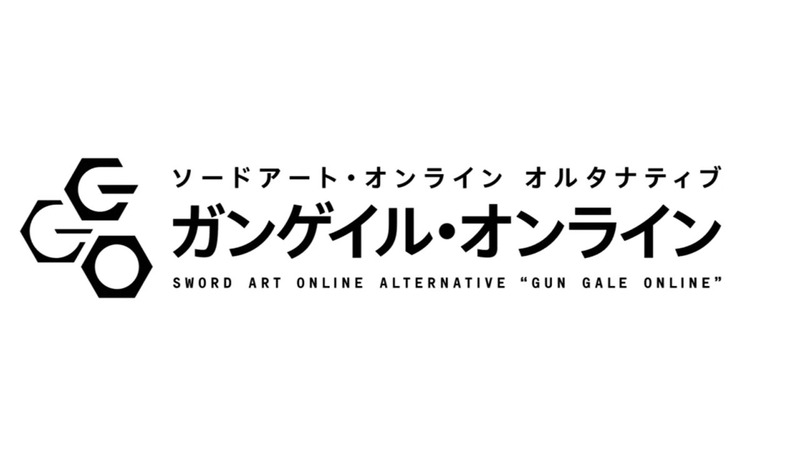 I’m not afraid or ashamed to say it — I LOVE EVERYTHING SWORD ART ONLINE. 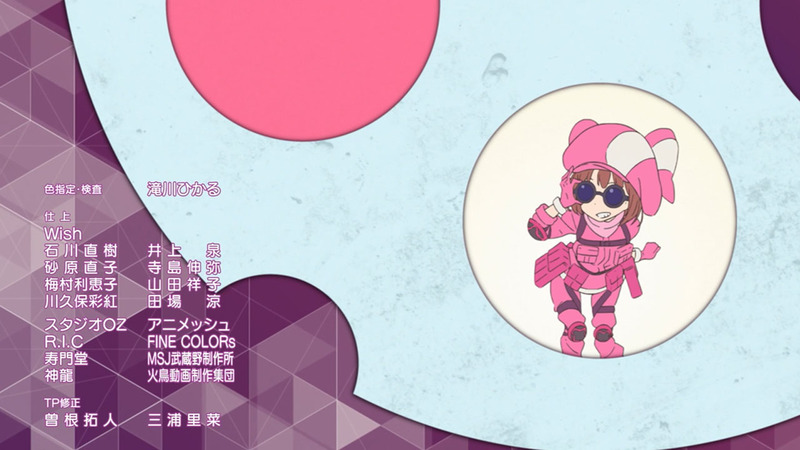 Boy oh boy this was a fantastically fun first episode for a show that’s using Sword Art Online’s world to fantastic effect. 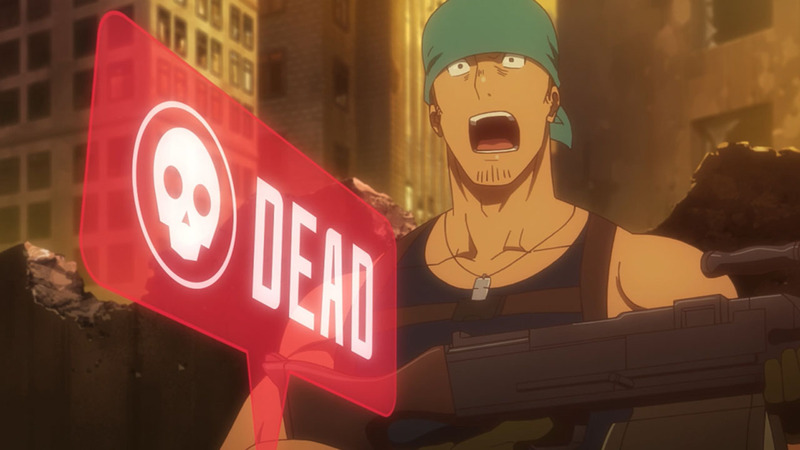 From the characters to the scenario all the way to those in-game UI shots reminding us that this is all happening in a virtual world, I was absolutely in love with everything about Sword Art Online Alternative ~Gun Gale Online~. First things first — the new characters. 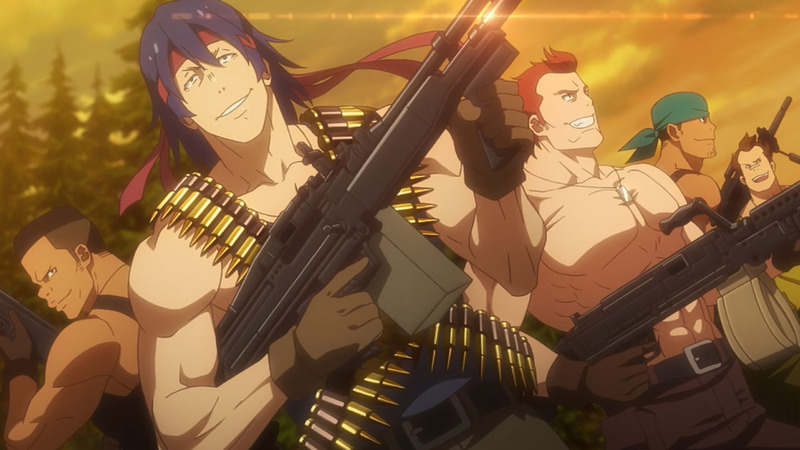 Seeing how there isn’t nary a mention of anyone from the main show, you may be asking how well these new characters hold up and boy do I have some great news for you. 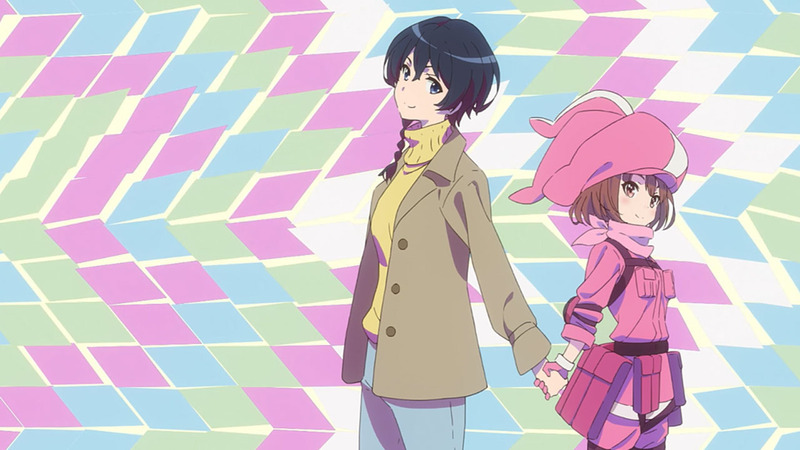 Main character Llenn and supporting strategist M do a surprisingly good job at keeping things fun and engaging as the story trots along. 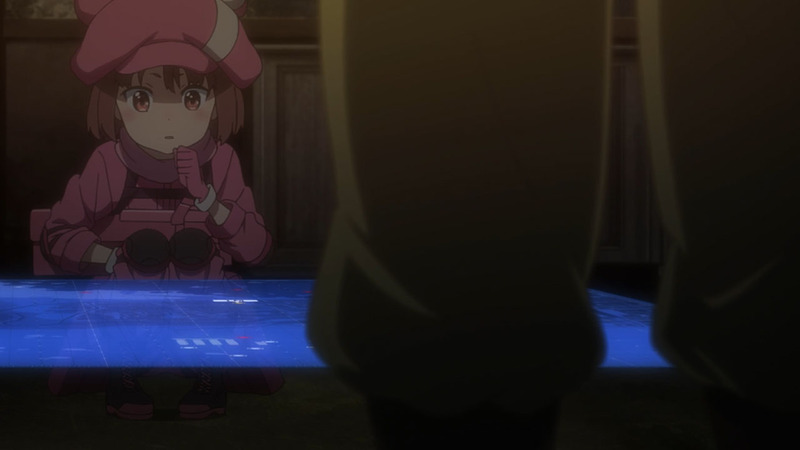 Through a mix of adorable pouting and (what feels like) realistic combat strategizing, it creates a similar atmosphere to what one would experience if they were playing a game like PUBG or maybe even CS:GO. 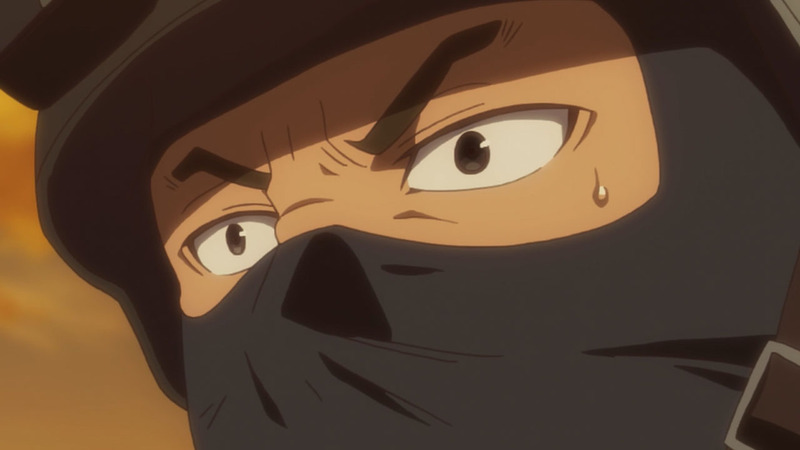 A feeling that is well received when you remember that everyone participating in Squad Jam are playing for a competitive prize and not for the lives of others. 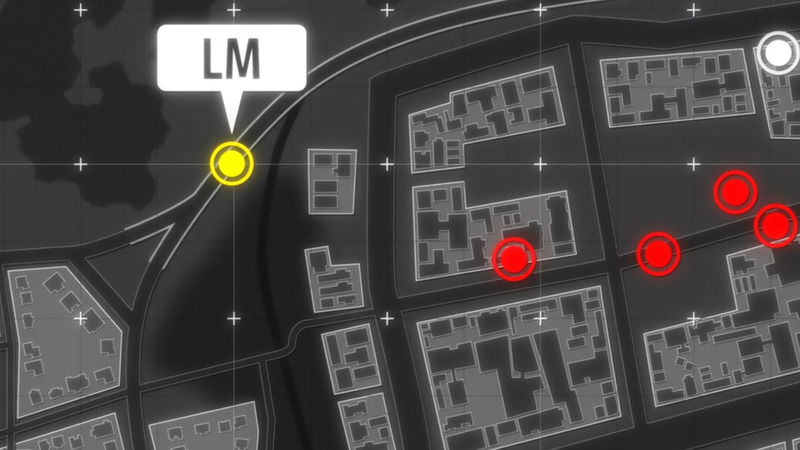 Also, I must say that I love how M is extremely knowledgeable about everything in-game since it still amazes me when friends can tell me what type of gun is shooting from where from the sound of literally a single shell dropping. Actually, let’s take a detour and talk about the story as a whole for a second. 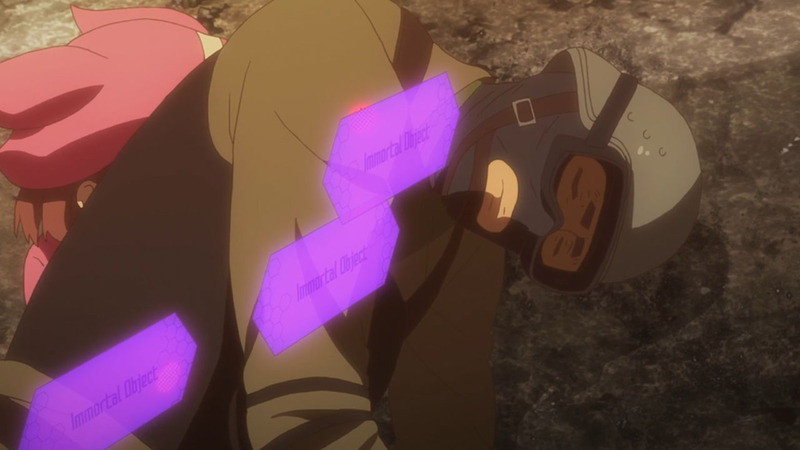 If there’s one thing complaint I hear about Sword Art Online besides Kirito being Magical Jesus, it’s the fact that the characters always end up in some sort of conflict that will inevitably have some sort of pull on the real world. A plot point that for some reason tends to divide viewers into two camps who can’t ever see eye-to-eye. Luckily, the “Alternative” in the show’s title is taking the word quite seriously and focusing on totally different ideas to (in my opinion) great success. 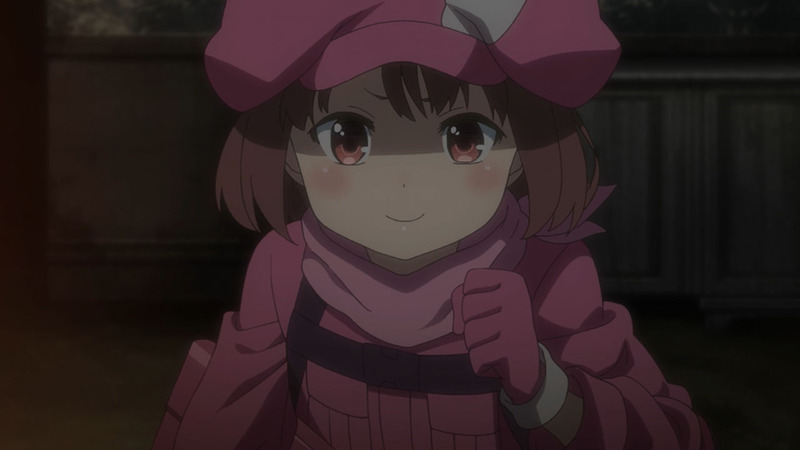 Pulling back from having the game have real world implications, I’m loving how we’re instead focusing on the ideas and gaming fantasies that would make a game like GGO insanely fun — like bringing real world skills to improve your game play or using in-game skills to take down enemies who may have an advantage against you. Situations that I’m sure we’ve all dreamt of, but have only experienced a handful of times at most. 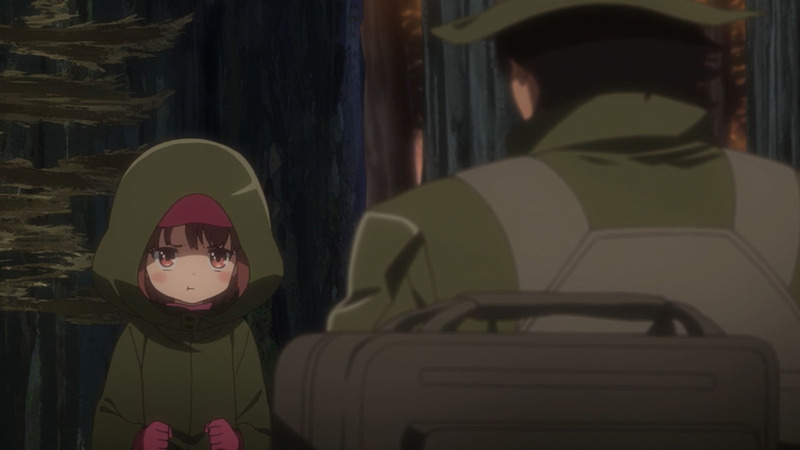 And while we haven’t seen the other side of things yet since we’ve only seen a glimpse of Llenn’s real world counterpart, I’m excited to see Karen (Llenn’s real name) deal with some of her real life struggles through being a tiny badass GGO player. 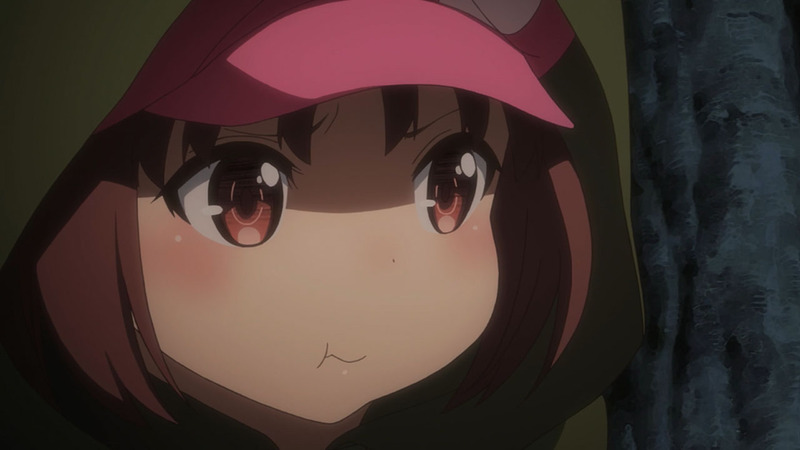 Jumping back to the characters, I love how Llenn feels like a personification of myself in-game. As someone who isn’t the best at shooters but enjoys playing them, it was great to see someone on-screen share the same struggles. 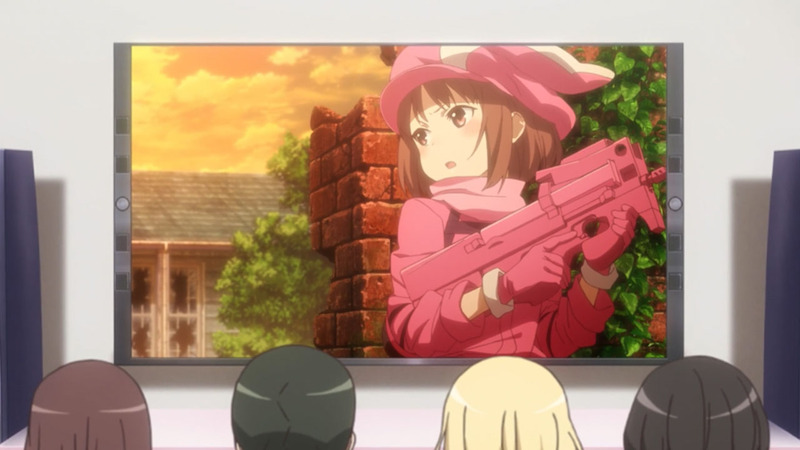 Be it wanting to go in guns blazing (but in return blowing your cover) or freaking out behind cover while getting sprayed by an entire squad, the amount of charm they packed into Llenn as a gamer was literally over 9000. When it comes to the story, it looks like we only got a tiny taste of what’s to come. 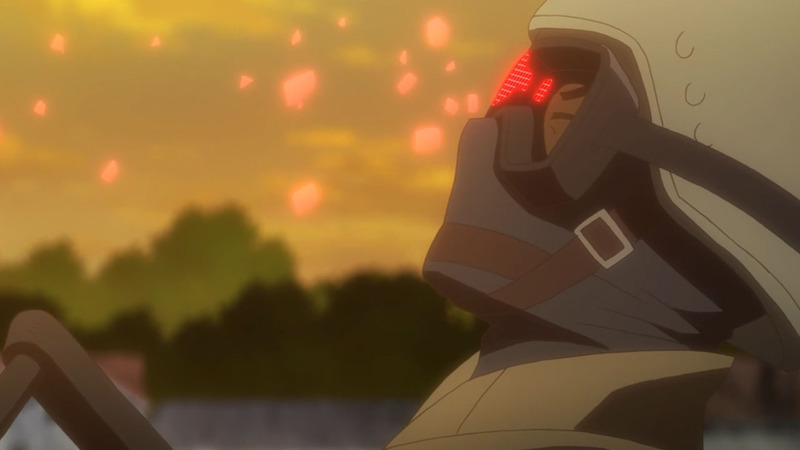 Based on what I remember from researching the show, it looks like the heavier topics are on their way and if this episode is any indication of what things are like in-game, the real life aspect should be the perfect foil to help keep things from feeling too repetitive. And while I’d like to comment more on what’s to come, I think I’ll take a wait and see approach. 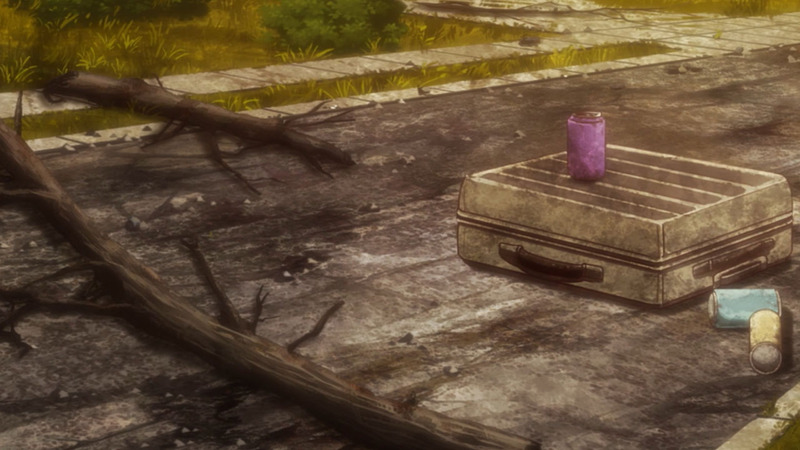 Overall, a really good episode that I think embodied everything we could have asked for. So, if you’re a Sword Art Online fan or just a fan of the world of Sword Art Online, I don’t think you can go wrong picking this one up. Gotta love their determination to rock their look. Kirito is no Jedi… Neither is he a Sith. Is it wrong of me to instantly think of GE Multiplayer and the Oddjob ban I had to enforce with my friends due to this picture…? 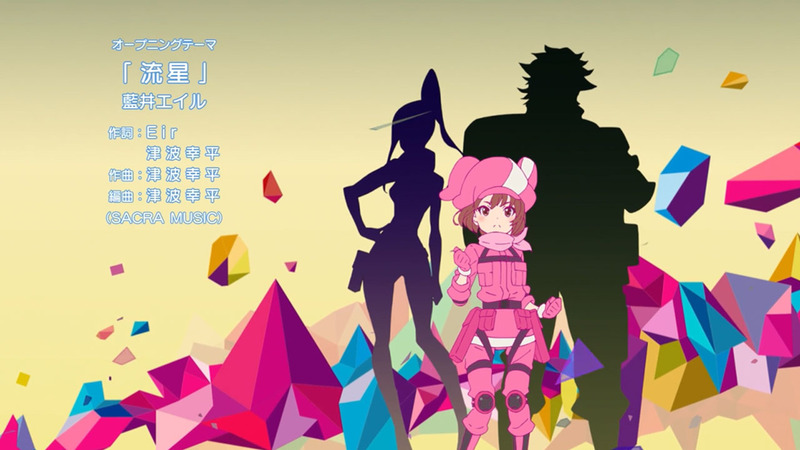 for an alternative SAO, that has no or doesnt focus on kirito and friends, this is pretty good and in this anime, cuteness LITERALLY KILLS (in game though). 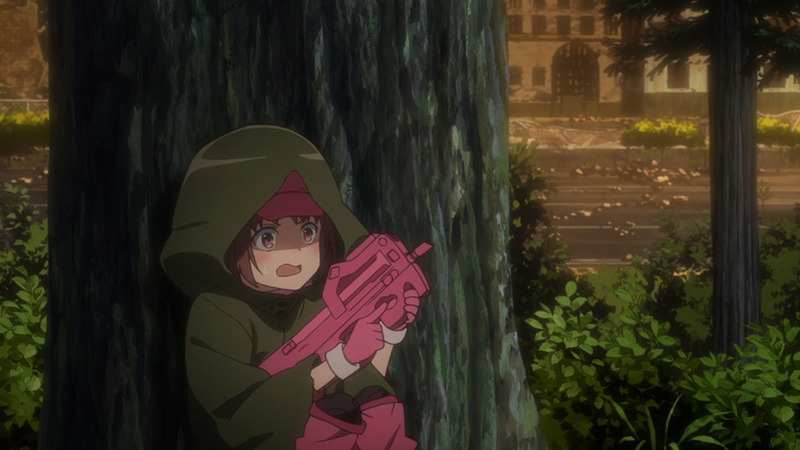 I love LLENN so much. 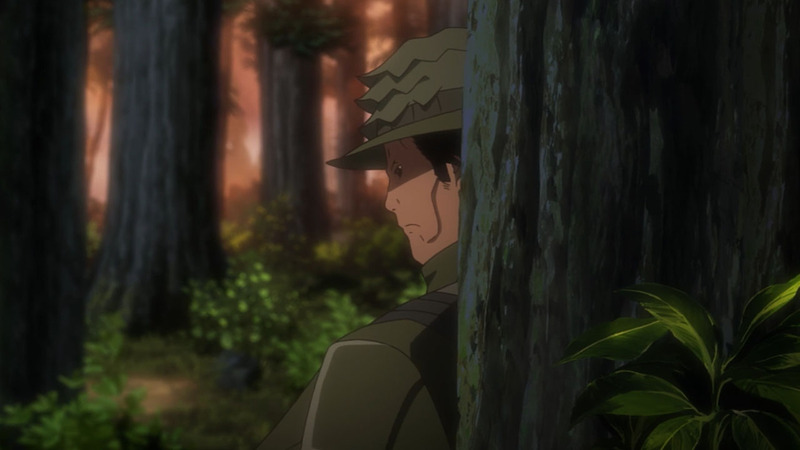 Well, the reason I can’t stand SAO is Mr. Magical Jesus himself. I feel like killing myself just watching 5 minutes of his Gary Stu exploits. So the moment I heard he wasn’t in this show it piqued my interest right away, and I’ve gotta say I wasn’t disappointed. 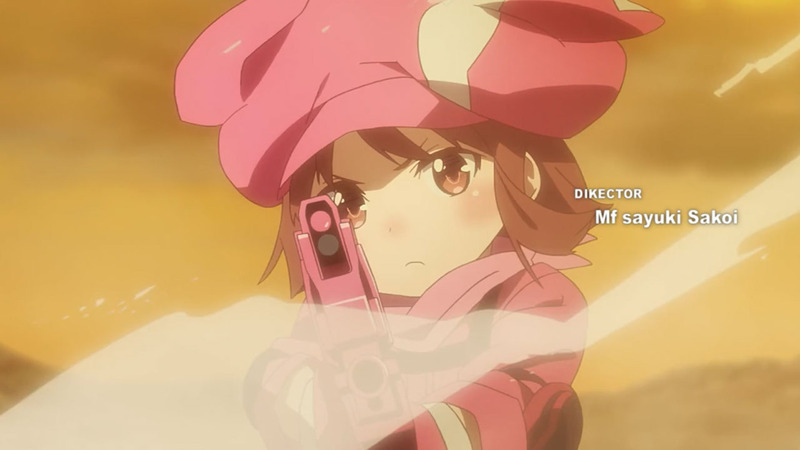 It wasn’t perfect but it was fun and I want to know more about Llenn / Karen. Wanting to know more about a character is always a good sign. 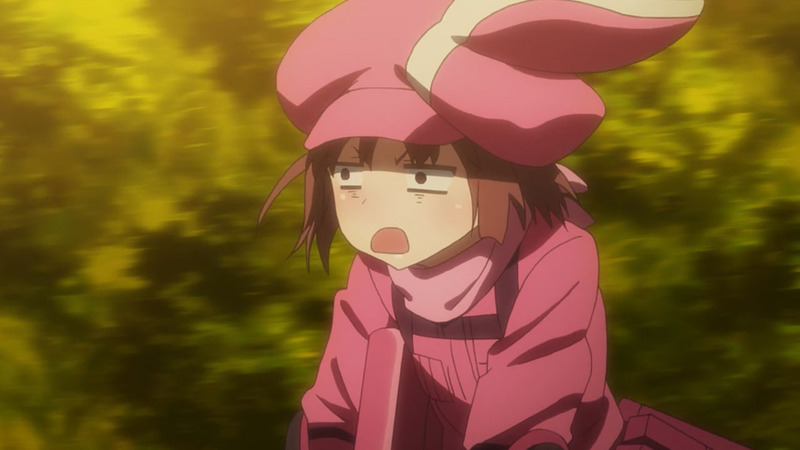 GGO’s author is Sigsawa Keiichi, creator of Kino’s Journey. 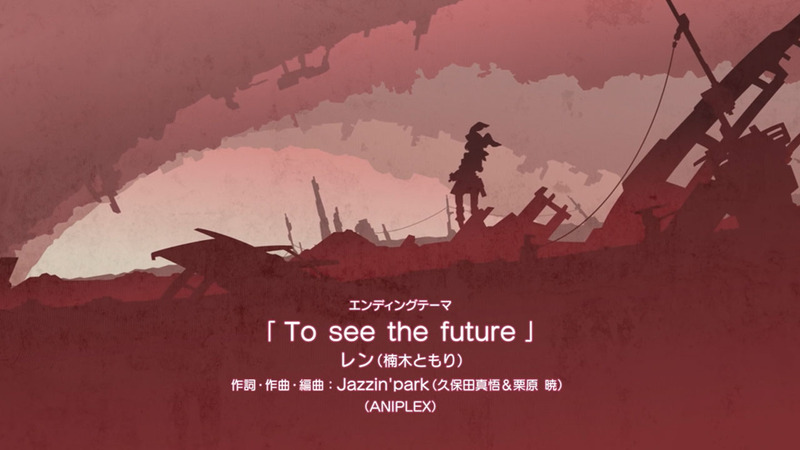 I expect he’ll have a different take on the franchise from Kawahara Reki. 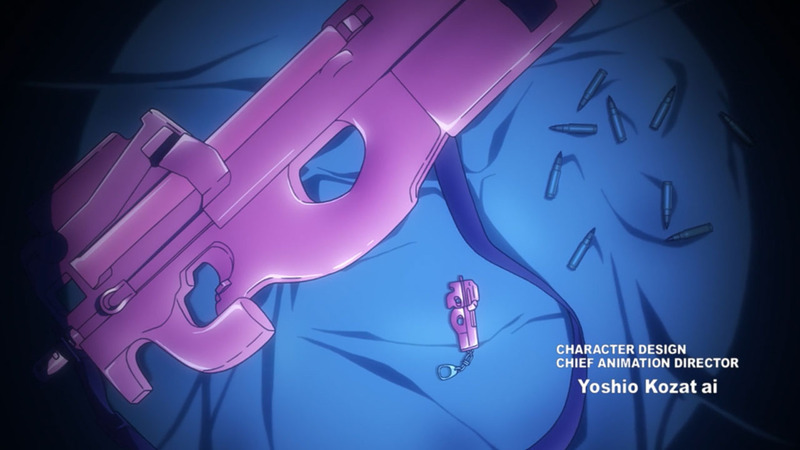 Well seeing that the author is a huge gun nerd (his pen name literally spells SIG Sauer), I have high hopes for this series. 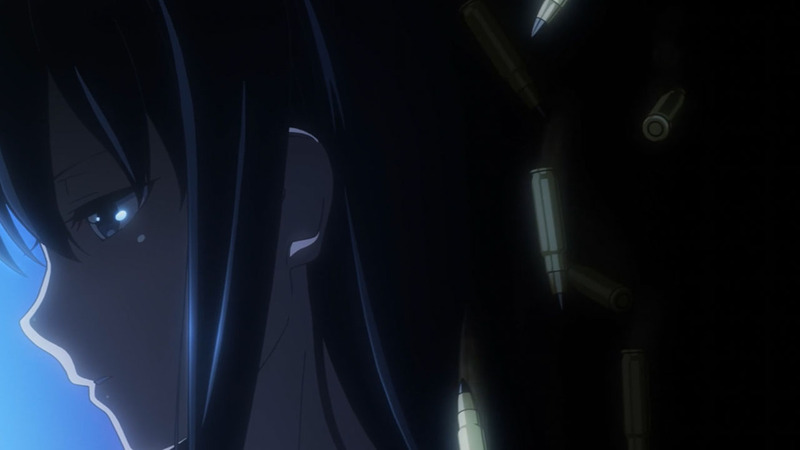 @SMinstrel: Huge gun nerd indeed. 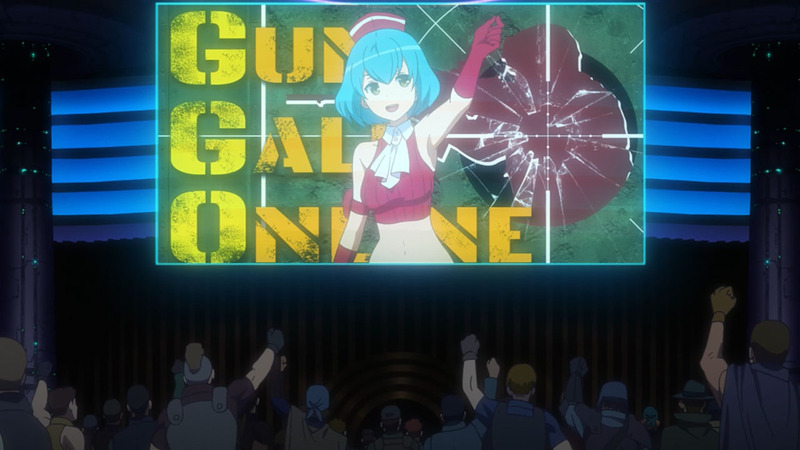 I’ve looked up a bit of the LN for Gun Gale Online, and any time a new character appears in the game, or a current character pulls out a new gun, the author spends a good three paragraphs describing each gun, its strengths and weaknesses, where it came from in the real world, how much it costs, and why that player chose it over other guns. 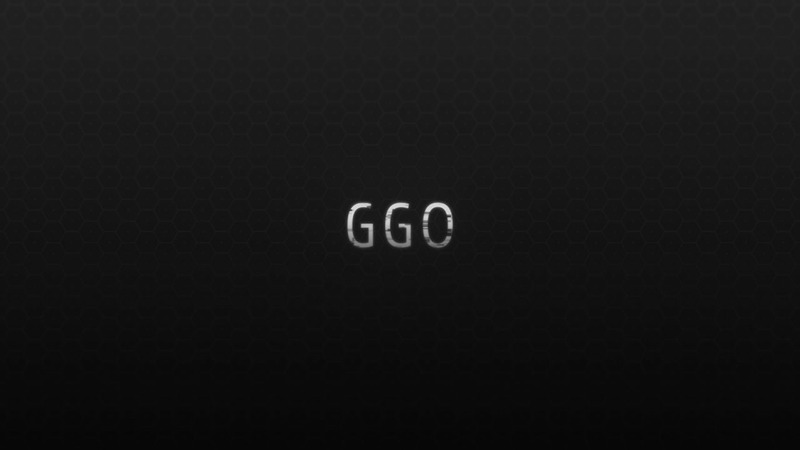 GGO may have 12 episodes; Japanese Amazon lists 6 Bluray releases. In SAO news, they’ll be airing SAO’s Alicization arc this Fall 2018. It’s slated to adapt the entire arc, from Vols 9-18. Too bad the Sword Art Online web & light novel ends after Alicization. There’s no arc or anything afterward. Just a few short stories and that’s it. 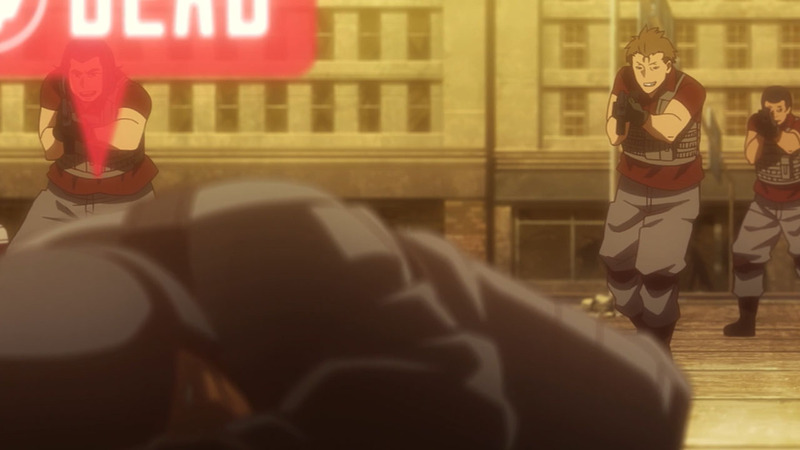 It should be bittersweet for some as this will likely be the last time we’ll see a proper SAO series in anime form for a very long time. Though I kinda want to see the author go beyond Alicization in LN format, something he never did with the web novel. Just the rate the novels come out, it seems very unlikely we’ll see a Season 4 for a very very long time. Don’t have a source but thought I’d recently heard that he plans to carry on past Alicization (end of web novels). 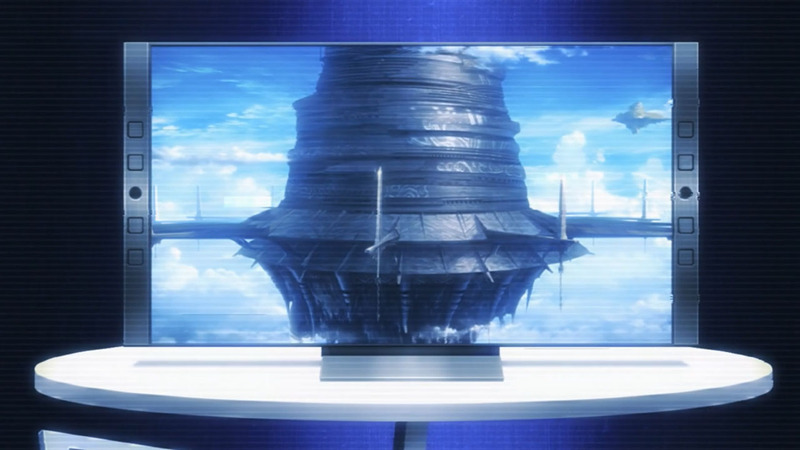 Whoa there… Magical Jesus is Onii-sama from Irregular at Magic High School, Kirito is just Video Game Jesus. 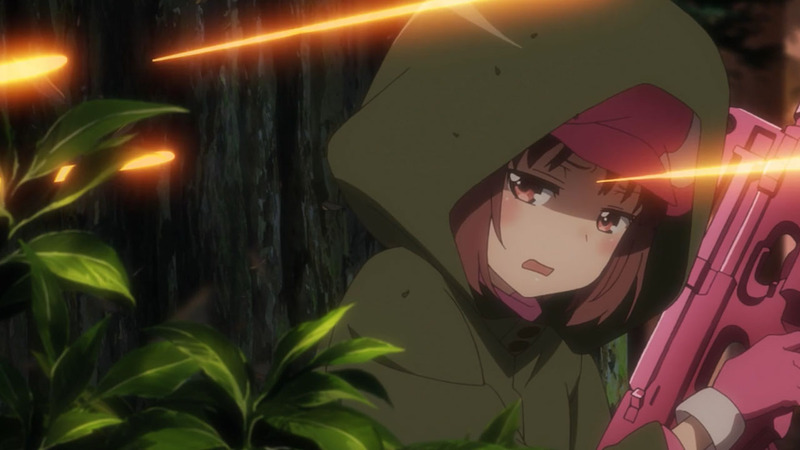 I believe you don’t see SAO Movie yet. 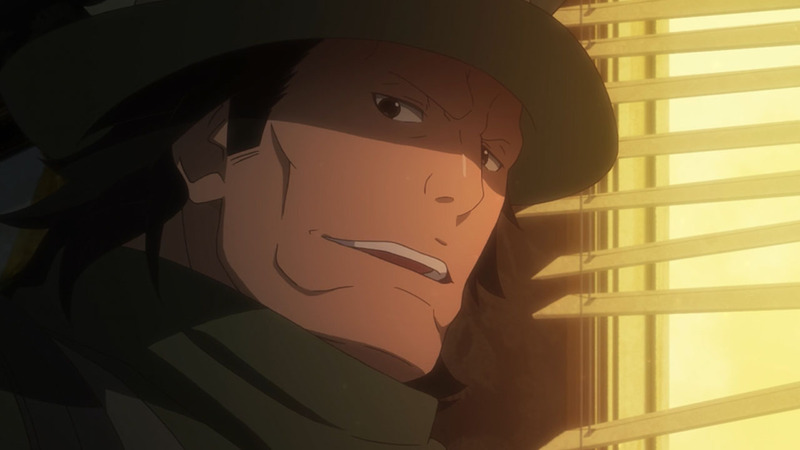 Kirito may not has “magical” part, but he still Gary stu, either in or outside game. agree qwert… i cant believe how this heretics give kami-oniisama’s title to some puny human that can be defeated by just his snap. and hell, i think people forget the reason SAO is easier to finish is not because of kirito but because of the mercy of our lord, oniisama. he was in the game to make the SAO death game easier for humans to survive. I concur with qwert on who is the real Jesus. 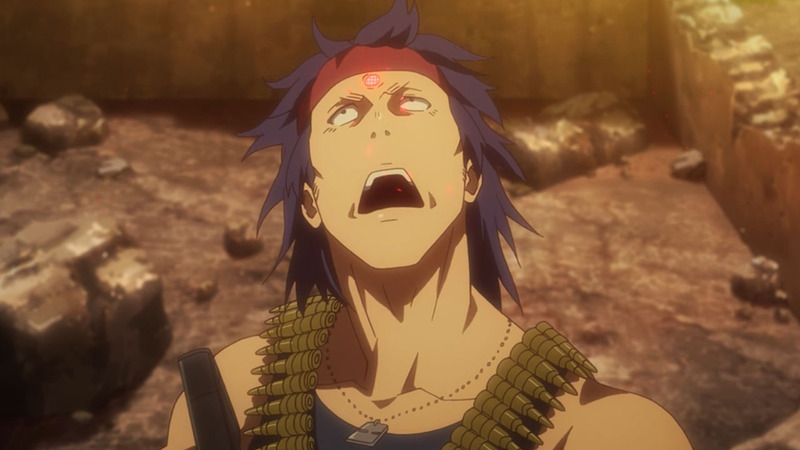 That onii-sama is on a whole different level. Her facial reactions had me interested from the start, and the tears in her eyes when she jumped out of the suitcase made me smitten. The she walked in IRL and I fell, hard. 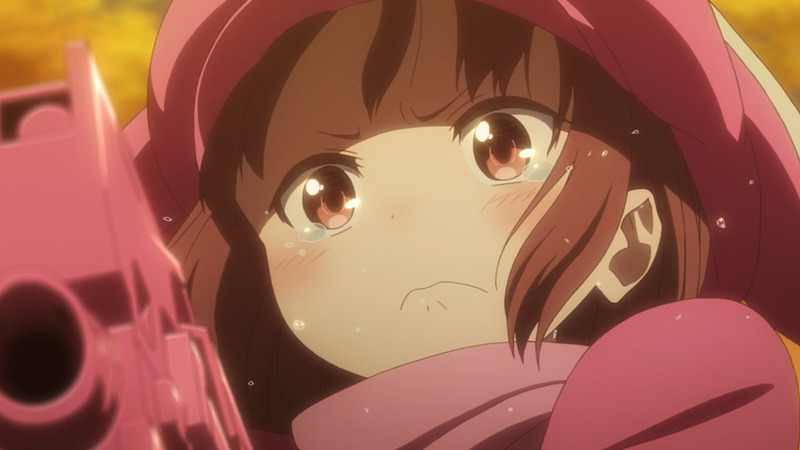 Damnit, Llenn, why are you only getting 12 episodes?! I don’t have time to read the LNs right now!! 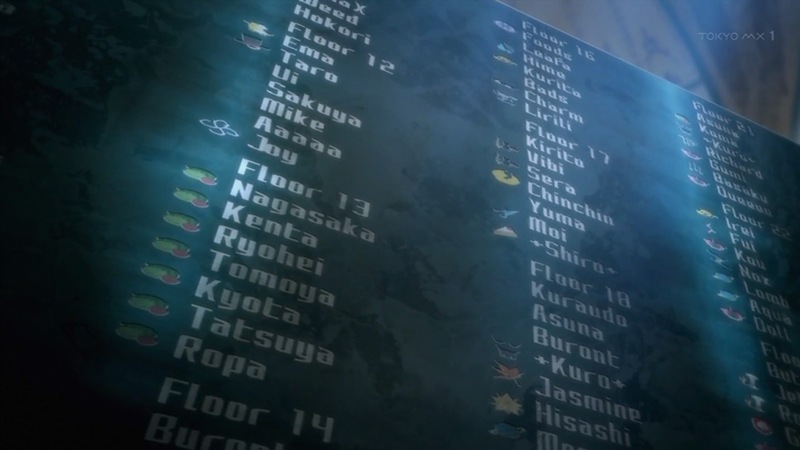 The only doubts I had about this show were down to the absence of Kirito and Asuna. I needn’t have worried, this looks like a solid watch. P-chan reminds me of the pink Hello Kitty chainsaw that someone made. And apparently you can get a P-chan keychain now, so that’s definitely on my wish list. By removing him, in ome masterstroke the show turned interesting to great number of viewers! 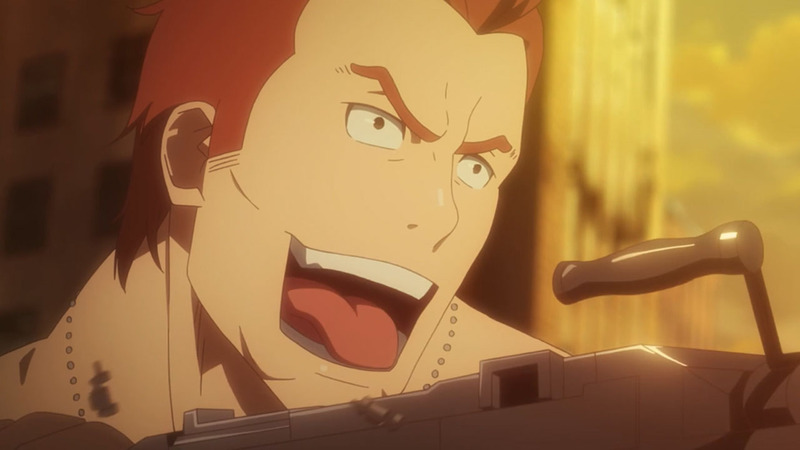 I’m probably the only person in the world who doesn’t care about Kirito’s Gary Stu powers, and I’m ashamed many of you lack that same tolerance. 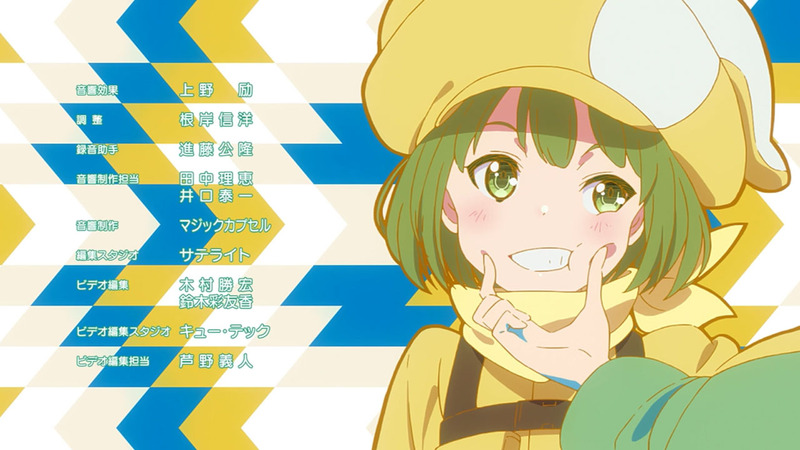 That said, this was a pretty good first episode, will definitely be watching. 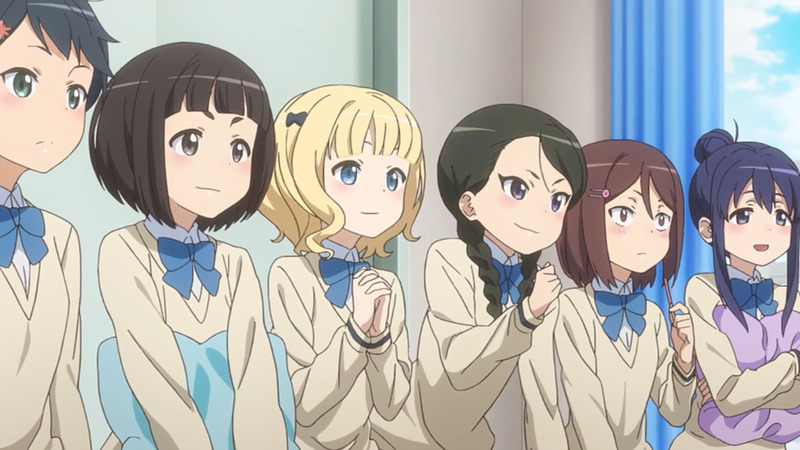 Oh wow, who would have thought people actually don’t like generic looking mofo’s being overpowered for no reason and getting a harem of girls~ This type of character is steaming with originality. I’m ashamed that you even have tolerance for that type of stuff. 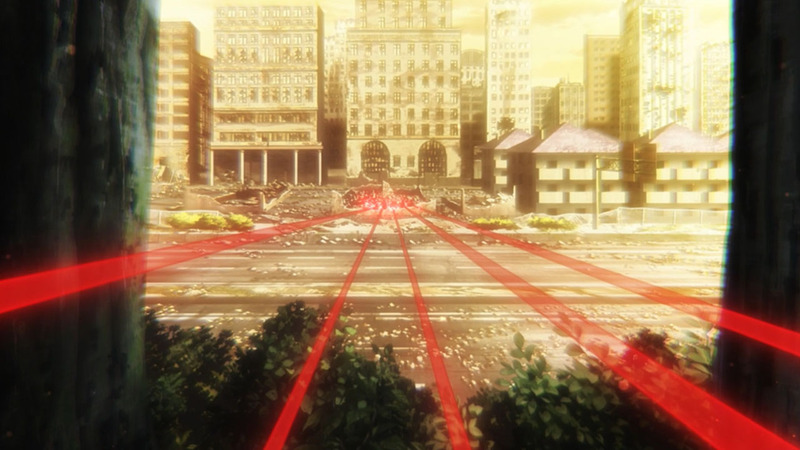 I also really like watching Kirito just be Kirito. If he’s gonna be Gary Stu-Jesus then make it a true shounen complete with typical power-ups. It’s the combination romance-Gary Stu-harem-not-harem bullshittery that gets me. Be one or the other. 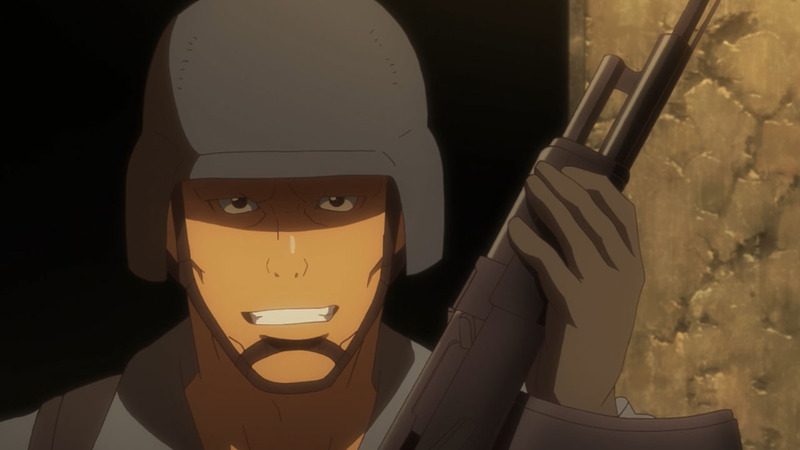 The problem for me isn’t so much Kirito’s Gary Stu status, but rather that there’s nothing really balancing it out. If the character is going to be a Gary Stu who virtually never loses unless the plot demands it, is able to solve almost any problem, both in the long run and on the fly, and so on, then you need to make sure that the character is at least made interesting in other aspects. 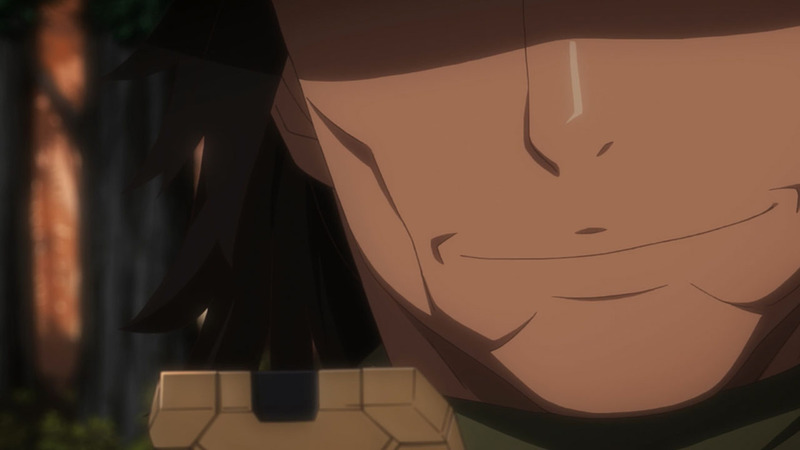 Kirito just isn’t really an interesting character as opposed to a checklist of “cool” factors or something, so rather than me waiting in anticipation to see what he’ll do next, I just want his time on screen to be over with and get to other characters. 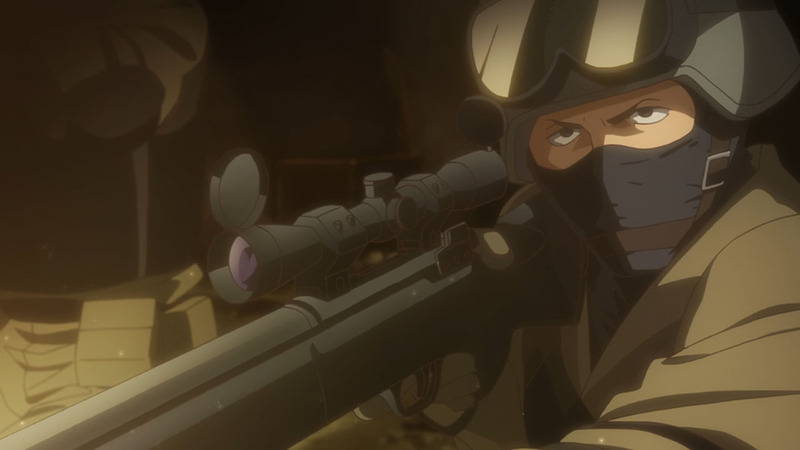 Like, ironically, the GGO arc could have been a more interesting arc if Kirito weren’t in it and, instead, it focused entirely on Sinon. 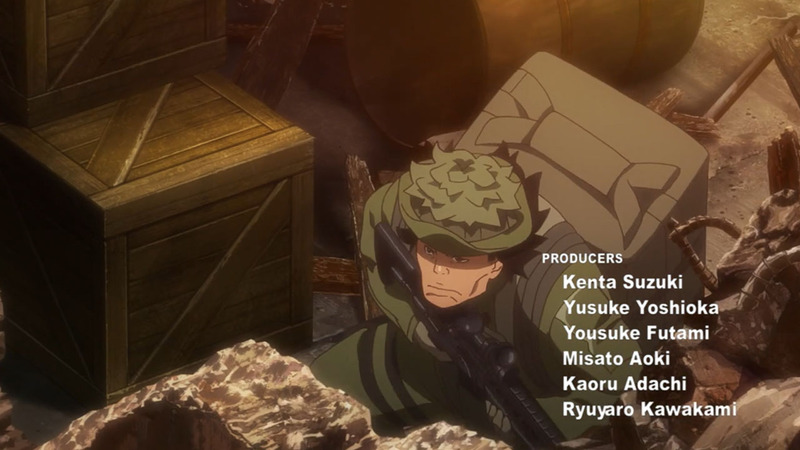 Instead, Kirito’s Gary Stu presence (yet tried to make him seem hesitant to enter GGO because of “pro gamers”, pfft) and the attempt to force some sudden PTSD crap in an obvious attempt to force an “understanding” between him and Sinon only ended up destroying Sinon’s initial character by turning her from someone determined to push herself to try to overcome her fear of guns into a clingy “damsel” who “needs” Kirito to be “strong”. 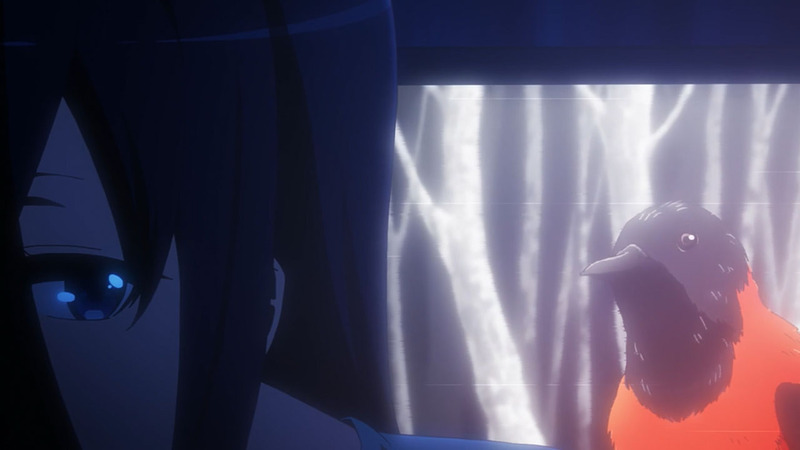 It’s the same big mistake that killed Asuna’s established character in the ALO arc. SAO works much better as Asuna’s story, where Kirito is her reward for being a badass lady fencer. 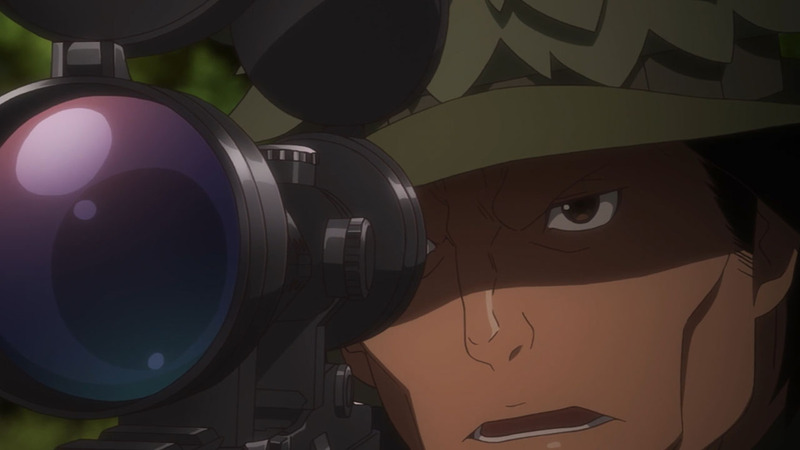 Check SAO: Progressive. 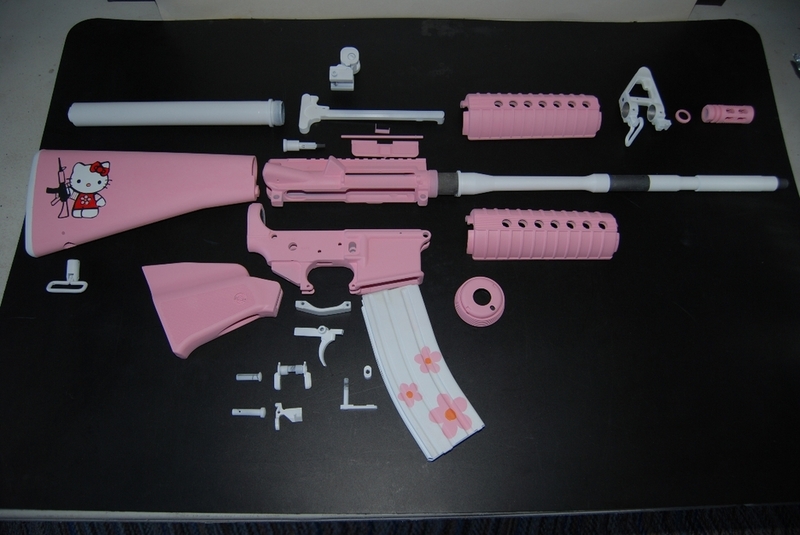 Eww, please do not taint the Belgium’s masterpiece with some girly, pink camo. 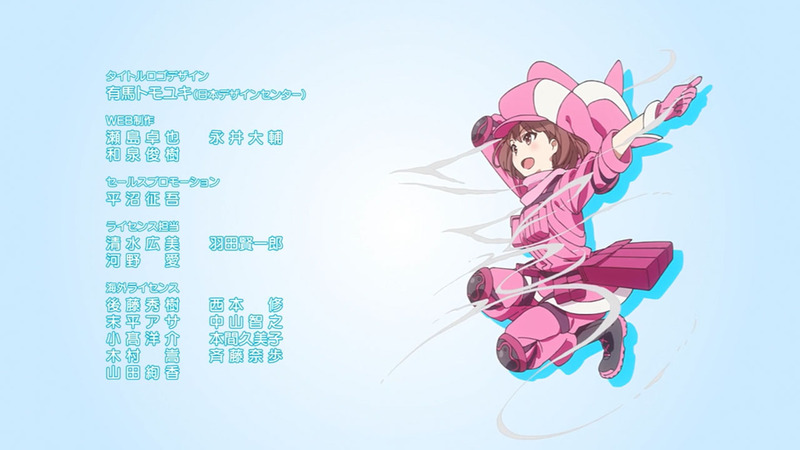 I think the story will dive into why LLENN is wearing all pink and is a tiny chibi very soon. 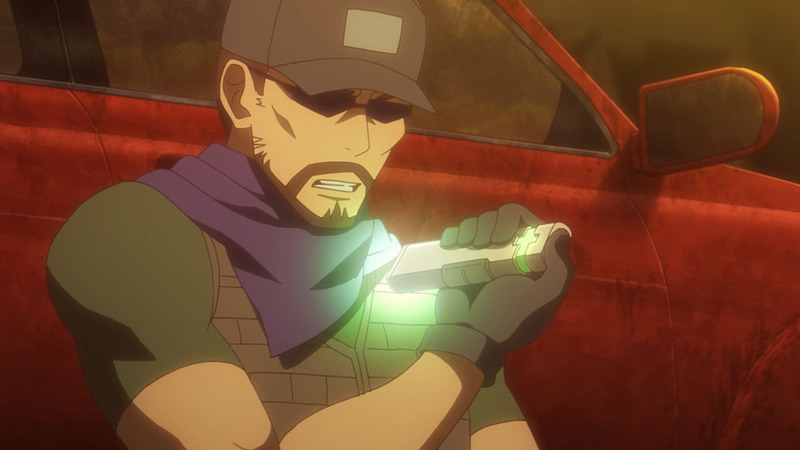 Kirito’s model was super rare, and the whole randomization thing for characters in GGO.. I’d say very lucky! That’s legit desert camo. It was used by the S.A.S jeeps (called Pink Panthers), as they noticed the pink hue the the desert gets during sunset and sunrise makes then practically invisible. 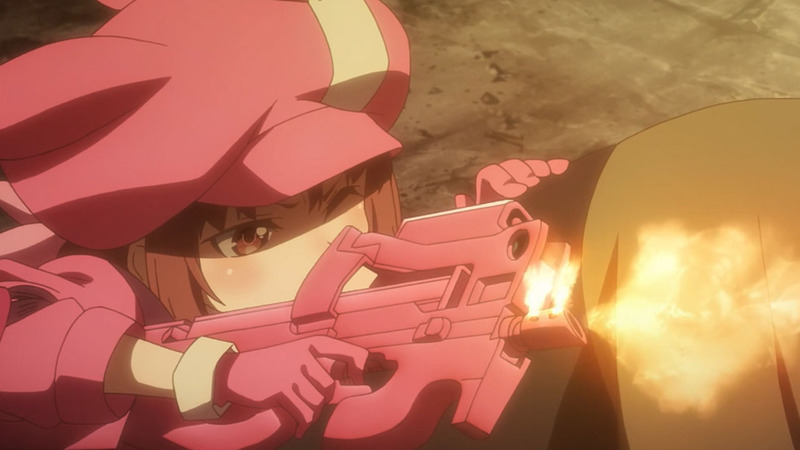 LLENN mainly fights on deserts, so in a game that is mainly a giant, post-apocalyptic desert, the color makes perfect sense. Also, is very, very cute. 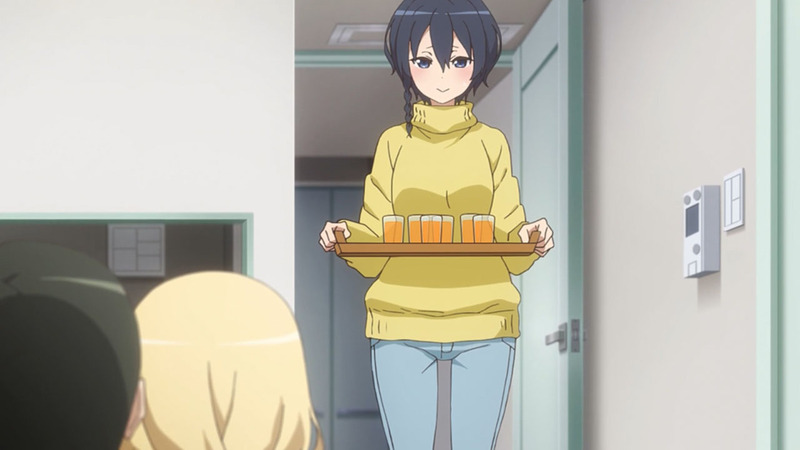 So we have an Onee-san, or just simply a tall girl, looking character as our heroine. Nice. Hope to see more “Onee-san” heroines in the future, don’t know much anime with that sort of setting. 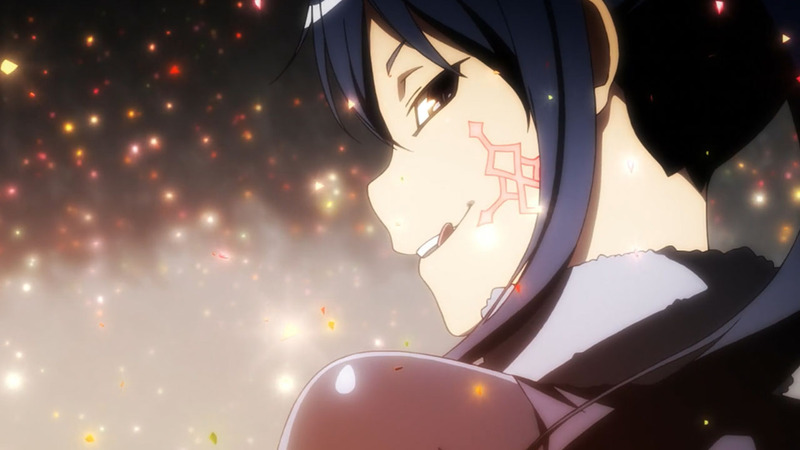 Anyway, will this girl meet Kirito? 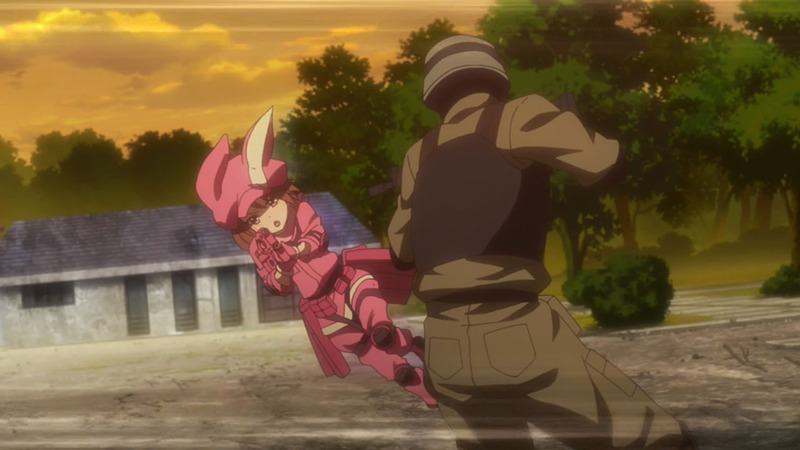 notably, based on the way she moves, I guess she is the “speed type” which is considered a bad choice in Gun Gale Online. 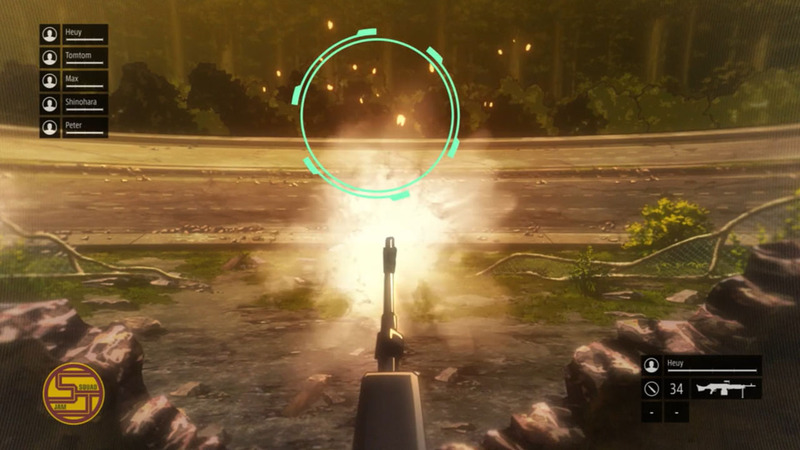 If gun-based virtual reality games exist, it would make sense of the JSDF would use them as a training tool. It seems cost efficient, I think. 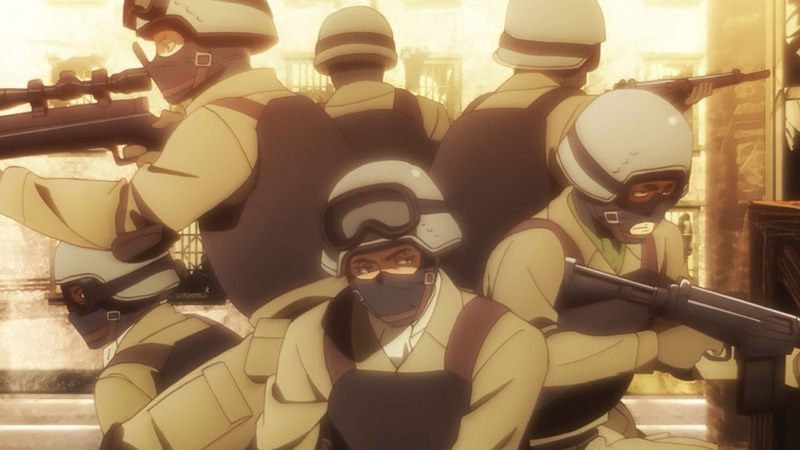 Imagine US marines with 10 years of deployment experience or some SEALS playing PUBG or ARMA 2 or 3 in virtual… Wew I can easily see those who play now will look like newbs. those tricks of theirs will not work on experienced vets.. Apparently some special force or army guys did play paintball or airsoft battle IRL against enthusiasts. Some did well, while others did not, because of unexpected tactics/circumstances that won’t happen in a real, life-or-death firefight. 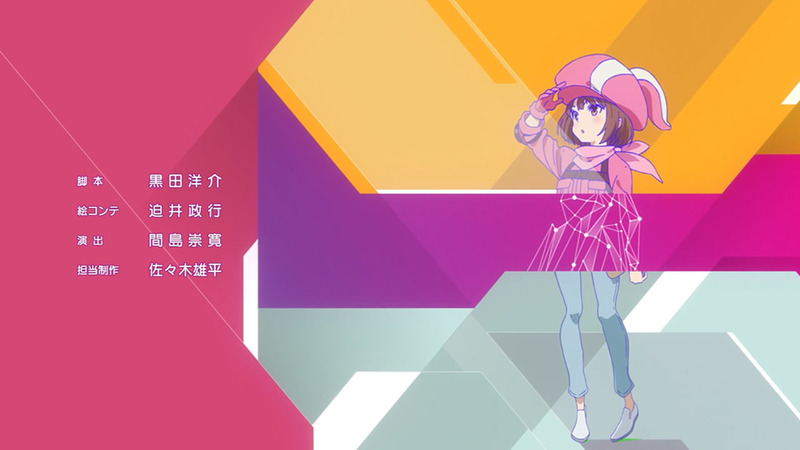 The Japanese public does not complain of mary sue characters if they have a high load of moe. I wanna believe that there has to be a trade off for being so physically small and fast. 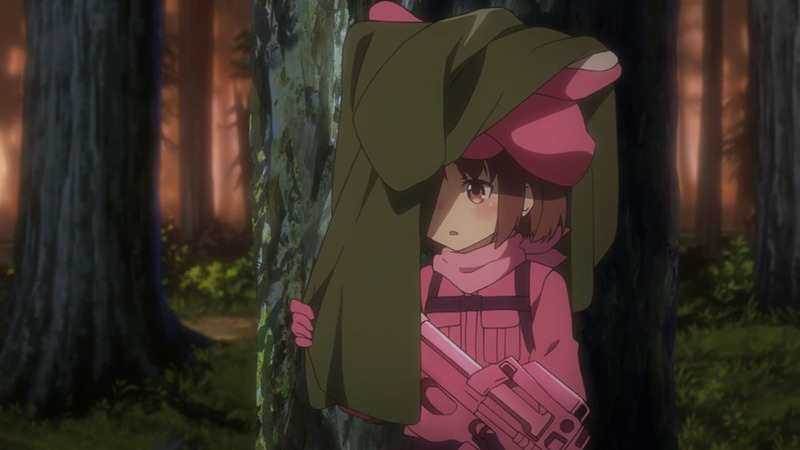 Like, I’m sure LLENN can’t carry much stuff (including ammo) and if she does get hit, I would assume it’s game over for her. Not a bad trade off to move suuuuuuuuper fast. With how far she seems to have boosted her AGI for her crazy-speed I imagine that unless she’s already a really high-level she doesn’t have much left for other stats, which you would think would limit the weapons, gear, and maybe even skills she can use. 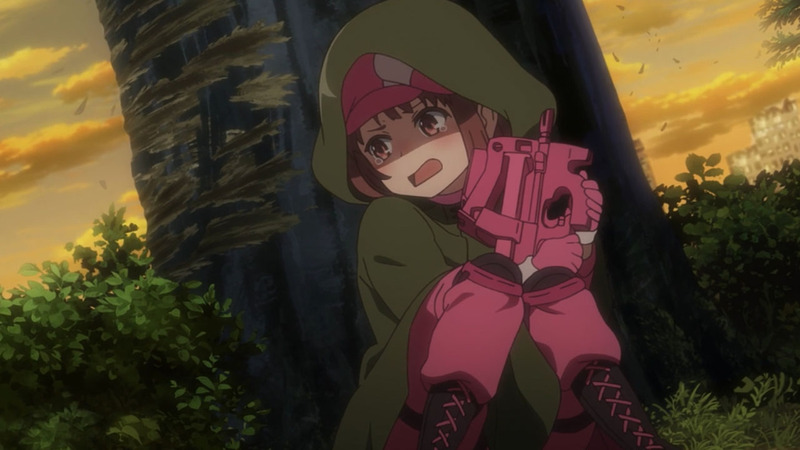 No assault rifles or grenade launchers for this chibi, so I feel like we’re going to see LLENN need to work at becoming the master of a very specific skill-set. Damn, this might actually be good. 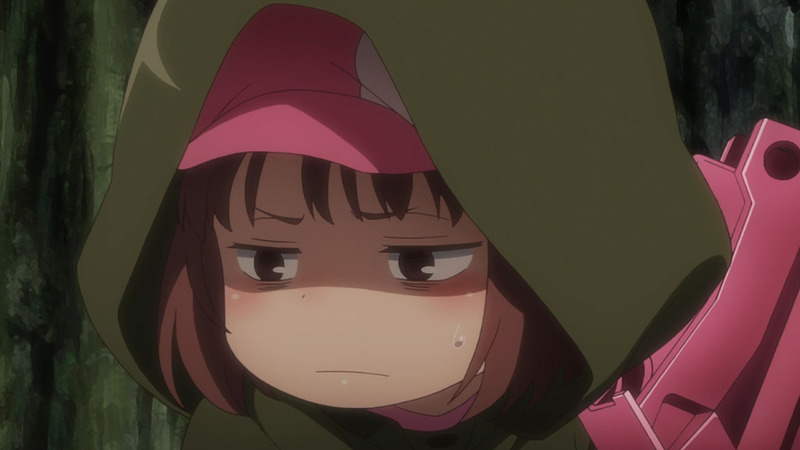 I liked the original SAO but Kirito and his one-true-love-but-imma-harem antics is really annoying. Because it’s not a true harem, but it’s also not a true romance, and when you fail at both and your main character is a Gary Stu combination of Jesus and Neo, it gets old fast. This is okay. This has potential. The first episode wasn’t amazing, but it was miles better than anything the series put out recently. 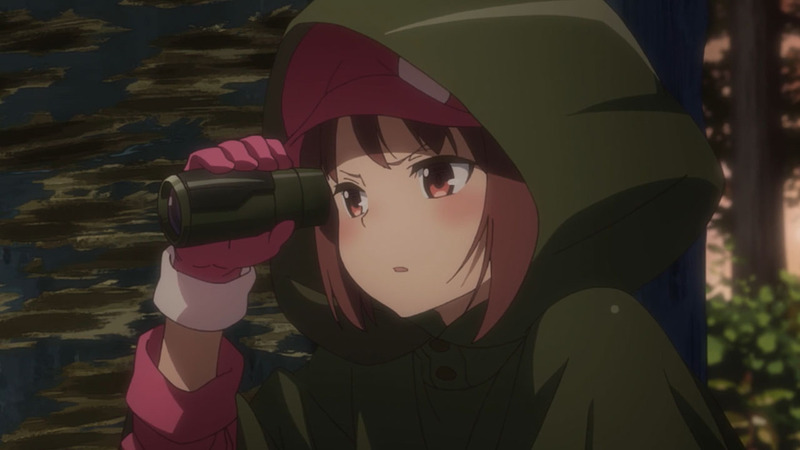 So basically Llenn is the Oddjob of GGO! my comments keeps getting caught as spam or in moderation I think. Nope, I don’t see anything stuck in pending. Try again, you should be okay. This reminds me, I play a game called Paladins and I main Evie. She has the lowest HP but she’s fast, fast, fast and if you’re good with her, you can 1v5 a team by jumping around and it is kinda infuriating. So I appreciate watching this type of gameplay, this is the type of character I play and it’s interesting to see it on the screen. Wait, they skipped a lot of things already? Welp, they actually turned the first volume into a flashback. Got me there. At the posting of this comment, I have never watched GGO simply because it has SAO on it… but after hearing that Jesus-kun is nowhere near this series has sparked my interested. 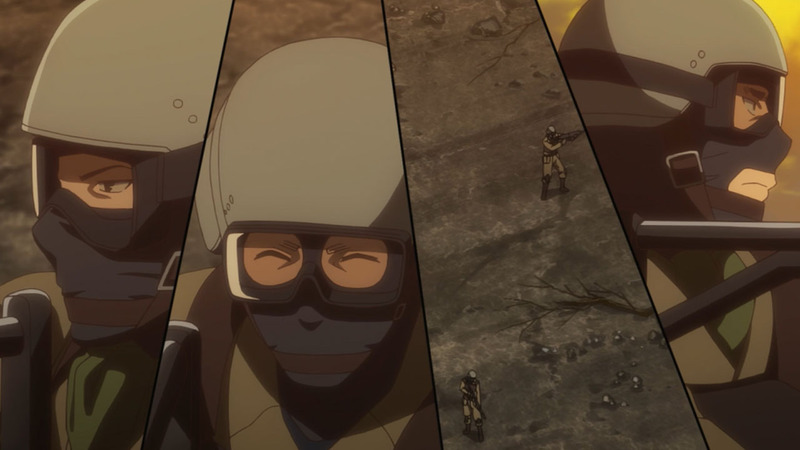 Many comments are mostly for Broken Kirito, but TBH, LENN is just as broken as him. 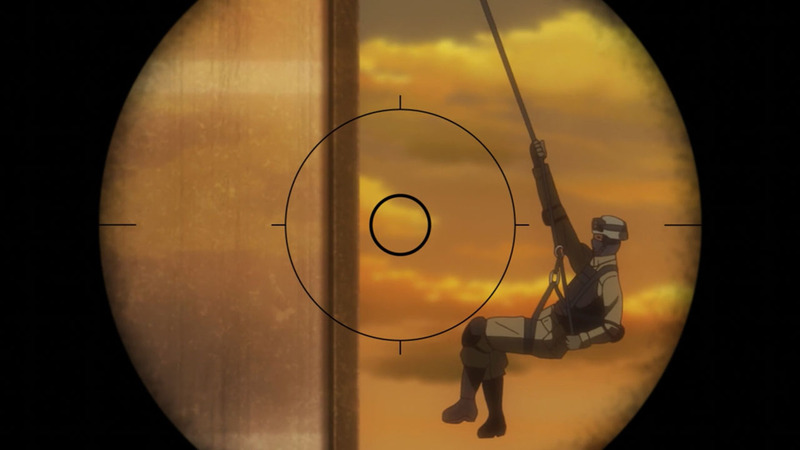 Leaving aside the fact that there’s no lightsaber issue here, seeing LENN taking out a whole squad from the JSDF (with MGS’s Snake box trick) is borderline ridiculous. 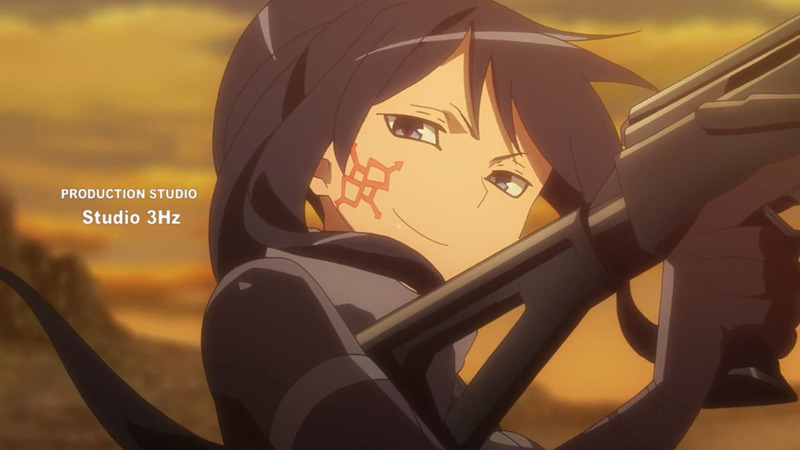 We had her screaming like a little girl against a volley of heavy machinegun fire, and later, she’s Kirito’s long lost sister! WTF?! We don’t know how long she’s been playing, or her stats, or anything. The girls at the end imply that she’s kinda famous, so this could just be a veteran player in a new situation. 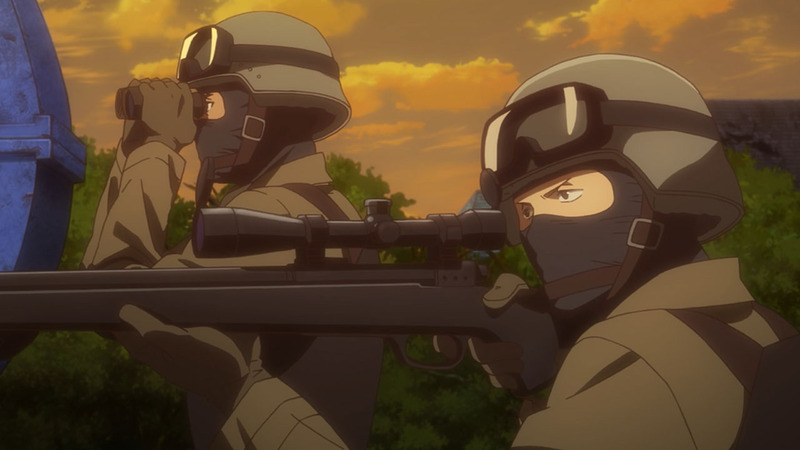 Plus she’s got a full-auto P90 that she seems to know how to handle, and damage-to-death seems much more realistic in GGO then SAO or ALO, so with just a little luck and some cheap game mechanics (dead bodies are immortal, huh?) 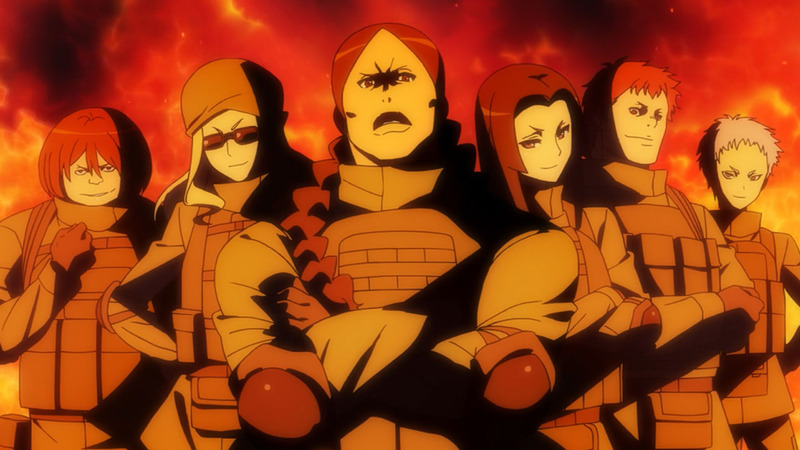 it isn’t so crazy that she took out four guys with a surprise attack at close range. The pros even say that she wasn’t what they were expecting because her stats have put her speed outside the human norm. Don’t hate on a series we Anime-only viewers don’t know anything about yet just because you’re looking for a reason to compare an “SAO main character” to Kirito so you can hate her. 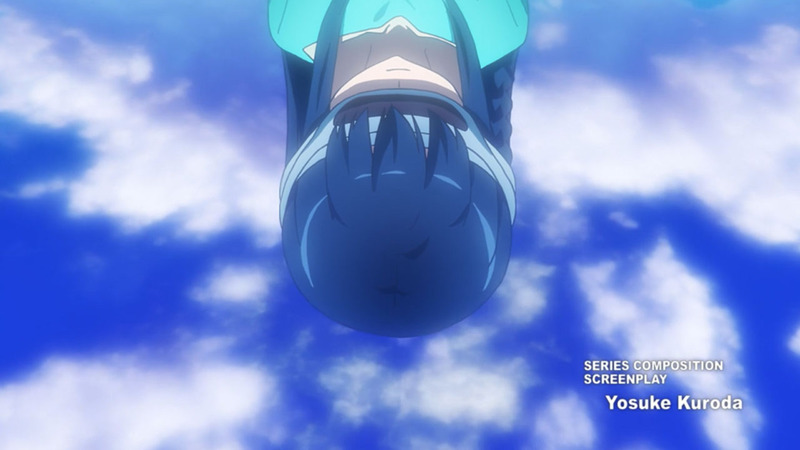 Still, SAO-A have 2 more eps to fix this little issues. There’s a surprise factor at work here. No sane trained combat personnel will suspect that an enemy will be hiding inside a freaking suitcase. 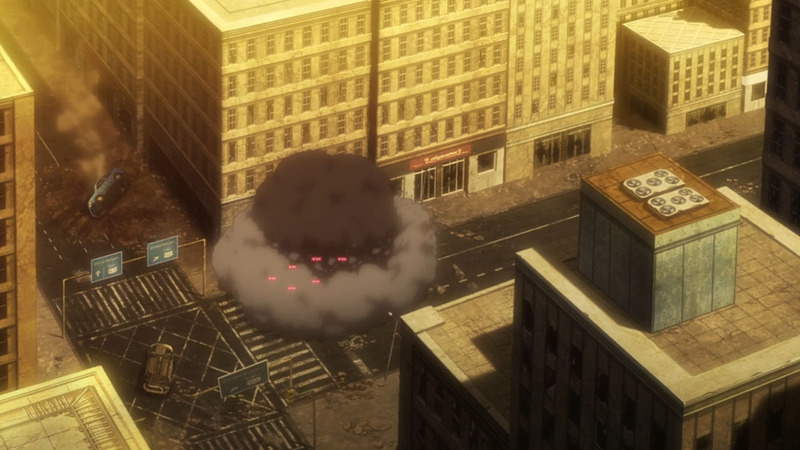 An IED, maybe, that’s why no one goes anywhere near that case, but not an entire human with P90. Got news for ya. It’s not that common, but there are people who get bullied because of their height. You can google it for yourself. LOL! 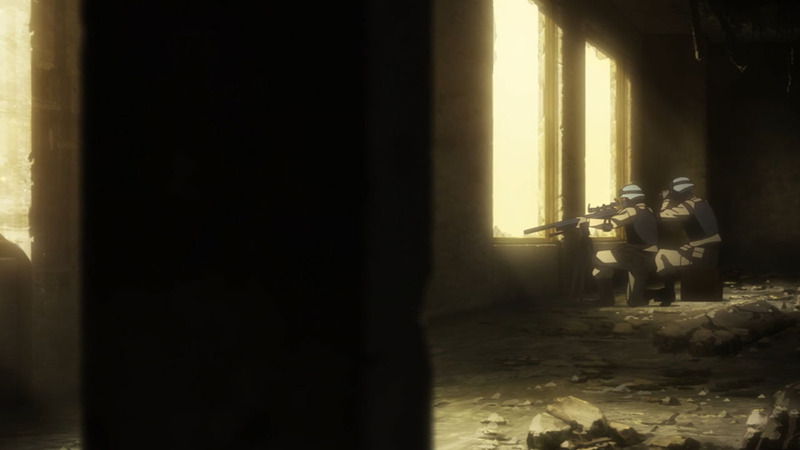 Call of Duty meets Anime. This so doesn’t feel like SAO I enjoyed that series too, I don’t know If I can get into this side story. 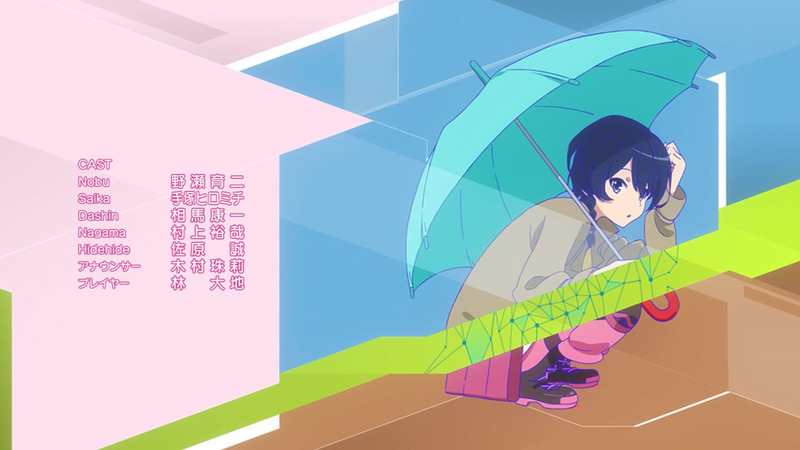 I actually came here with low expectations and 1st episode seems quite palatable for me. I present to you, textbook irony.